DGE approval expected sooner rather than later. New Jersey State Senator Ray Lesniak thinks the Division of Gaming Enforcement will approve PokerStars within weeks not months. “It’s going to be soon and it’s going to be huge,” he told PokerNews over the telephone. This week PokerStars held two “meet and greets” in Atlantic City, handing out free nibbles to players invited from lists on its old customer databases. Players were asked their opinions on tournament schedules, and were invited to give feedback on any topics that might concern them. No New Jersey site offers fast fold poker, so the fact that PokerStars has just registered Zoom as a US trademark suggests that the game could be on its way. Ray Lesniak is confident that PokerStars will grow the whole market—and not simply reduce the bit that other operators can compete for—it’s only three months to Xmas, will PokerStars be New Jersey’s Santa Claus? Losing too much money to those pesky Russians? 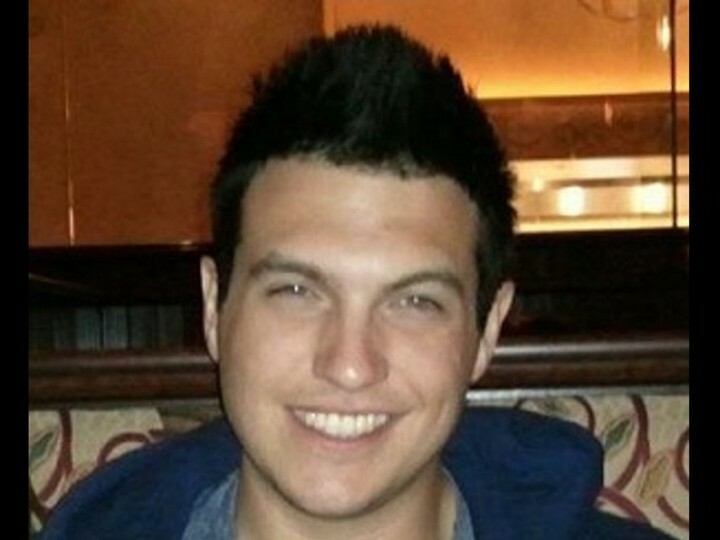 Doug “WCG Rider” Polk wanted to get rid of his handle to just be plain Doug Polk—but the US Government is out to thwart him. The fourth biggest winner in this year’s online cash games has just had his bank accounts at the Bank of America frozen. The money laundering rules and anti-gambling financial provisions of the UIGEA were implemented to help prevent funding terrorism. Does this mean Doug is now officially Doug “Potential Terrorist” Polk? Has Doug been losing high stakes cash games to Russians, or the wrong type of Ukrainians? Perhaps that Syrian home game was a mistake Doug. Maybe Doug should have chosen a less obvious screen name like Phil “The Unabomber” Laak*—how has he stayed out of government clutches for so long? The BoA has been one of the banks that has continued to reject gambling transactions even from state regulated US sites—Doug just got unlucky they noticed! Announce even more of the schedule. Season XIII of the World Poker Tour in full swing and just in case you forgot, the WPT wants to remind you of all the action that’s to be had at all of their multitude of international stops. Mike Sexton, Vince Van Patten, Tony Dunst and Lynn Gilmartin headline the cast of characters you’ll meet on your way to million dollar paydays and exotic locations. Like New Jersey! At the same time, The WPT released the exact dates for 5 more of its ever expanding schedule for next year including two stops at the SHR and the “California Swing” (L.A. Poker Classic, Shooting Stars & Thunder Valley). Casino sued by poker playing investor for past losses. Were there some high-stakes hijinx going on or is this a case of sour grapes? According to the UK’s Telegraph, poker playing investor Iraj Parvizi is taking the Les Ambassaduers casino to court over a string of high-stakes poker games from 2010-2013 where he’s claiming he lost some money. A lot of money – like £10m in damages worth. 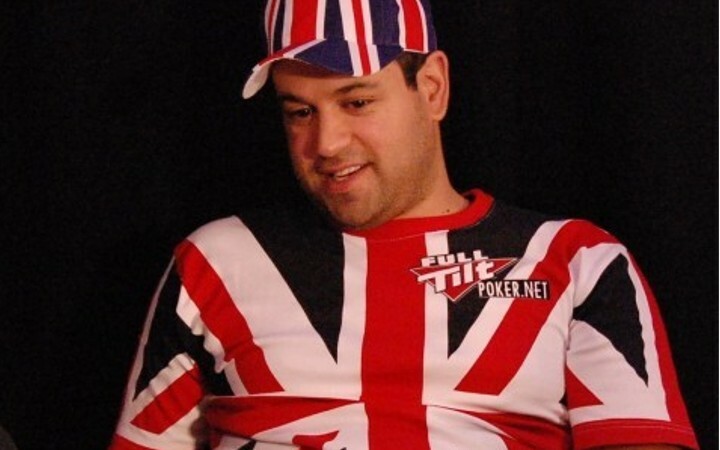 His side of the story (thus far) states that well-known UK pro Roland de Wolfe and poker pro Josh Gould were allegedly egging Parvizi on to bet it all, and after the game were chopping him up and sharing the profits. Essentially, they were working together. According to new court filings, the reformed card sharp claims that a high-rolling poker game central to the dispute, in which Mr Parvizi lost £185,000, was “utterly corrupted by collusion on the part of [poker players] Josh Gould and Roland de Wolfe”. The reformed cheater testified after watching the closed circuit footage of the aforementioned game that there was basically no chance the game was legit. Meanwhile the sued casino says they have zero knowledge of any cheating. He may need some of that poker money back. Bonus: Watch Roland de Wolfe's famous Magic The Gathering needle of David Williams at the WSOP. VIP Changes On The Agenda? Will Amaya CEO David Baazov look in? Nominations have opened on the 2+2 Forums for the next PokerStars players meeting to take place in October. The meetings have been running since a strike by French players over VIP benefit reductions in January 2012. PokerStars now regularly pays for both flights and accommodation to have designated players discuss issues with the senior management at its headquarters on the Isle of Man. This meeting can expect players to be presented with PokerStars’ proposals for “substantial changes” to the popular VIP program which will be implemented in 2015. The revised VIP program appears to have been in the cards since before the announcement that Amaya was to buy PokerStars. Whether Amaya CEO David Baazov will drop in on the meetings is not yet known—but a fascinating prospect. At 32, he’s probably around the same age as the players who will be attending. 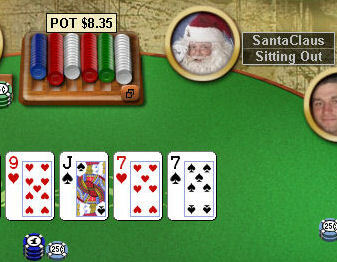 Typically PokerStars will take two reps from 2+2, together with another three from other forums. This isn’t something you see everyday. From the looks of it, and with the description of the video, a man literally drove himself into the lobby of the Stratosphere Hotel in Las Vegas. It’s a little hard to see on the hand held smartphone video, but it looks as though the white Ford F-150 truck rammed the front entrance and shattered the glass doors of the hotel with the driver having been tackled and detained by security. Security then picks the man up, without full control of his pants, and drags his toward the bell desk, all the while requesting that their guests back it up. Day 4 continues and under 50 remain. It’s starting to get serious. In the latest episode of the PokerStars 2014 PCA, the tension is mounting as 49 players remain in pursuit of the lion’s share of the $10M prize pool. WSOP breakout star Loni Harwood graces the final table in this episode as EPT Live announcers James Hartigan and Joe Stapleton take you through the paces in another super-produced highlight show of power poker from the Bahamas. Miss Episode 5? We got you. Kid Poker’s do’s and don’ts of ballot casting. 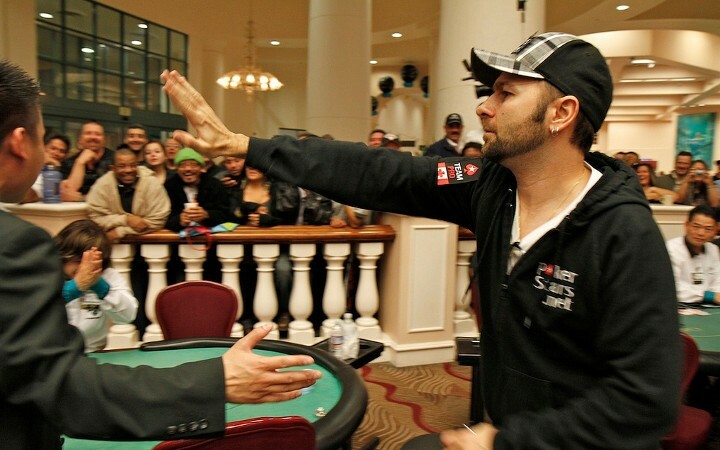 We’ve already had our say on whether Daniel Negreanu should be a first ballot Poker Hall of Famer...but just in case the living members of the HoF and the multiple media outlets don’t read F5 – Daniel opted to put out his own guide to building a better Poker Hall of Fame. Believe it or not, Daniel fits all his own criteria. In his new blog post over at Full Contact Poker, Daniel breaks down some of the traps that voters may fall into when considering which finalist to let in the prestigious group. Like, should it matter if you are on the younger side of the age limit…say, having just turned 40? The real question I have for all of you is this: should Hall of Fame voters choose the person most deserving of the award, or should age be a factor? About 6 years ago they instituted a rule that you must be 40 years of age or older to be inducted. This addresses one of the key criteria for induction, “stood the test of time.” So the question is whether or not someone who is 75 years old, no longer at their peak or even playing, trumps the credentials of someone 45 years old who has been in the game for, say, 20 odd years? Also, does everyone have to like the guy or can he be somewhat controversial? eing a “nice guy” isn’t one of the criteria. I don’t think anyone would classify Johnny Moss or Stu Ungar as nice guys, but both clearly have a place in the poker hall of fame. Now, Tom McEvoy is most certainly a nice guy, and I think that’s one of the key reasons he was inducted last year, despite their being more qualified candidates based on the criteria. OK, what about people who have waited their turn…should they get special consideration? I’ve heard this one A LOT and it doesn’t make sense to me. There is already a built in age criteria, 40+ years of age. A player who is 60 is no more qualified than a player who is 40, they both meet the criteria equally. It seems that Daniel just wants the HoF to be filled with killer-instinct poker players who have destroyed their peers and played at the highest level. It also seems clear that he’s confident he’s done that. While he never directly indicates that this blog is about him defending his first-ballot worthiness, it definitely could be interpreted as such. 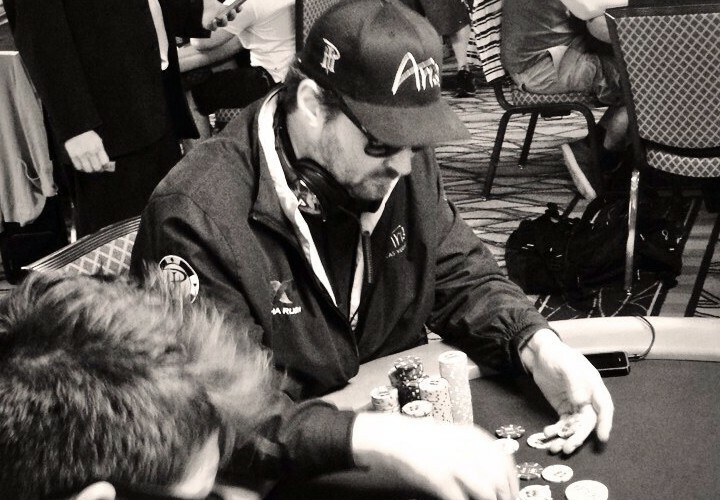 The World Series of Poker is like summer camp for poker pros. So, when this past summer Team PokerStars Pro Eugene Katchalov publicly announced that he’d barely be attending the six week affair – because he had something better to do – people wanted to know why. All he could tell us at the time was that he was cast in a reality TV show, but the rest would have to wait. Until now. It’s an adventure reality show where contestants work to finish tasks in different countries to accumulate cash that, in the end, only one person will win. The Mole is the undercover contestant who will try to stop them from winning. A few of you may remember the US version of The Mole as being the big break for CNN reporter (and former host of The Mole) Anderson Cooper. It looks like filming has wrapped and the series is set to air so we’ll get to see if Eugene used his super poker senses for the good of the group or in an effort to scoop the pot for himself. Who will he get behind? As a living member of the Hall of Fame (inducted in 2007), 13-time WSOP bracelet winner Phil Hellmuth is going to have his vote counted. Last night, he took to Twitter to share some of his (and Erik Seidel's) thoughts on who from the nominated class of 10 should get a little extra consideration. As for the most deserving candidates – here’s what he thinks of first time nominee Daniel Negreanu. But Daniel is not the only person Phil is considering giving a checkmark to. In fact his next mention isn’t nominated for his poker playing prowess at all. Ted Forrest is tied with Negreanu in having 6 World Series of Poker bracelets, the most of anyone on this final list of 10 candidates. Where would you cast your vote in 2014? Is “Kid Poker” a first ballot Hall of Famer? All growns up: Kid Poker seeks admission to Poker Hall of Fame. All have met the requirements and passed the vetting process of the Poker Hall of Fame Governing Council. Sure, there’s going to be a few snubs and there’s possibly even a few names on that list that some poker fans have never seen. 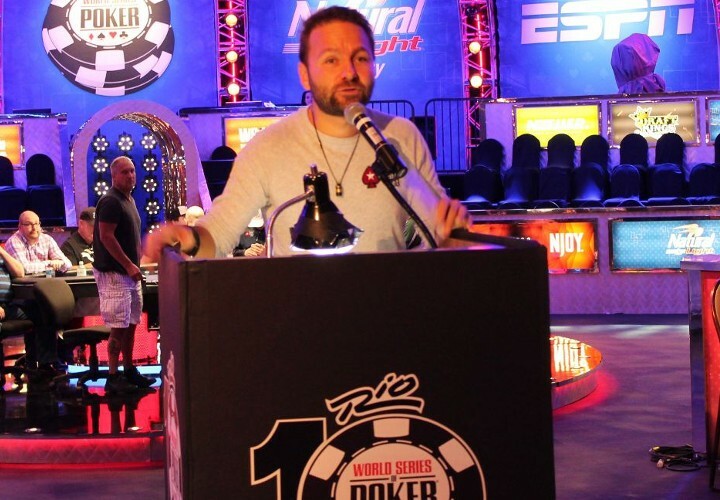 But what we’re looking at is this: Is Daniel Negreanu going to be a 1st ballot Hall of Famer? Is that a slight to the contributions of the other nominees? Don’t know. But we’re looking and can’t help but notice just how over-qualified Negreanu is. Along with seizing the top spot on the All Time Money List, Daniel is arguably the most popular, well-known player on the planet (with a nod to the Phil’s). Will his ever-present personality, his accumulation of accolades and his 2 WSOP Player of the Year awards allow him to be the youngest member of the Poker Hall of Fame on November 9? It should. Maybe this isn’t exactly climbing out on a limb but while there’s something to be said about age and consistency, when it comes to fulfilling the requirements there’s practically nothing “Kid Poker” hasn’t done. He’s not only won all the money, reaped all the rewards and secured multiple titles, he’s also invested himself in being an outspoken advocate of the players and a very public (and promotional) face for the game. Sure, he’s young and there’s others on the list that have patiently waited, but if there’s a guy that you’re going to let cut to the front of the line at age 40, it seems that Daniel Negreanu would the most obvious and deserving choice (perhaps even mores than Phil Ivey, when he becomes eligible). Poker historians may want the Kid to age a little so satisfy the “test of time” but as it states in his bio – he’s been in the game since at least age 22 (18 years). It just seems silly to force him to wait an extra, what, two years…three? He’s a no-brainer and we see no real purpose in making his wait. Not that we have a vote. Who would let the jokers at F5 vote?? There’s a 20-person media panel plus the 21-person Hall of Fame members who will be casting their votes later this month and we’ll all find out together who will be inducted during the festivities at surrounding the Final Table of the 2014 WSOP Main Event. What do you think? Daniel a sure bet to make it into the PHOF this year or do you make the “Kid” wait? Hit us up on Twitter, fool. All 1326 starting hands, which one will you wear? There’s a ton of poker apparel companies looking to hook you up with a look that shows that you love playing cards. Now there’s a new idea that shows off the fact that you love playing cards…not the act of playing cards, but the cards themselves. Poker Patches is hoping that you love playing cards so much that you’ll literally wear your favorite hand. I came up with this idea when I was in Las Vegas this summer. The World Series of Poker (WSOP) was on and I was looking at the different things that people were selling there. While I was looking at the clothing I realized that although some of the designs were cool none of them screamed “I love cards”. I decided this was a problem and I was going to try and fix it! What’s the plan? It’s embroidered playing cards with velcro backs that you can mix and match and wear around town. So what’s your favorite starting hand? KJcc? ATo? You name it, now you can wear it. All for the low, low price of $85 CAD plus shipping. Interested? Check out the Kickstarter campaign right here. Football season is music to Scott Vener’s ears. Scott Vener, aka brokemogul, is perhaps better well known for his day job as music supervisor/curator for the HBO show (soon to be movie) “Entourage” (as well as other film and TV shows) but he’s also a well-documented fan of poker. ...and, apparently, he’s also not as broke as his moniker would have you think. Here’s a shot of his recent trip to the Bay Area. Cash game action and history lesson in 30 minutes or less. Dalla diagnoses if poker is a game of skill or a game of luck? The latest episode of the made-for-tv, poker personality fueled program Poker Night In America watches pros like Phil Laak, David Williams, Layne Flack and David “ODB” Baker mixing it up in the $25/50 cash game. At the same time, PNIA Creative Director Nolan Dalla sits upon the poker history throne and reminisces about the good old days of Las Vegas when poker personalities were perhaps a little more interesting and a little more dangerous. Looking for more PNIA? Check out episode 8 right here. 13 giant basalt monoliths guide the way. Is the home game on Guy? Guy Laliberté, founder of the $1 million buy in Big One for One Drop, has built a bizarre monument at his villa in Ibiza. It consists of 13 monoliths, the highest is over 20 metres and adorned with 23 carat gold. Locals have speculated that the Canadian billionaire (who is also one of the first space tourists), is attempting to guide UFOs to a luxury landing place. The monument received national attention in the Spanish newspaper El Mundo, after Laliberté received a record breaking fine for building it without planning permission. 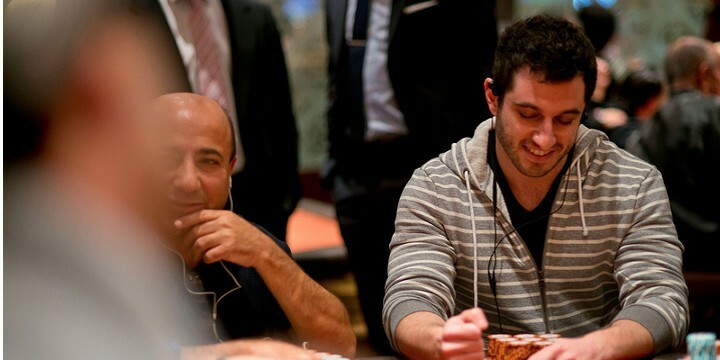 HighStakesDB lists Guy as the likely player behind the Full Tilt account “Esvedra”—“the rumor hasn’t been confirmed, so Esvedra is still an unknown player at this point”— which lost $2.7 million until it stopped playing in 2011. Of course, Ibiza could be home to two billionaire nosebleed stakes poker players…. “WCGRider” gets in the podcast game. Looking for something new to listen to? Exhausted all of the other poker podcasts out there? Well, this week the handsome bro of high stakes stirs the pot by launching his own platform to like, totally, voice his views. Check out episode one of the Doug Polk Show. Doug is joined by fellow bro Jason Mo to break down a number of issues revolving around the high stakes community: The $100K SHRPO payout snafu, Daniel Negreanu's possible prop bet and Dan Colman's meteoric rise into poker fame. If you have just under an hour, give it a listen or topic hop with the in-video links provided. Resigns After $2.5M Overlay at SHRPO...? Ray Stefanelli rumored to be leaving Seminole Gaming with plans to rejoin Borgata. One would think that after the recent troubles at the 2014 Seminole Hard Rock Poker Open, which included a massive $2.5 million overlay – one of the largest in poker history – as well as an embarrassing $100K high roller snafu, that something would need to change. Perhaps that change comes in the form of the resigning of Seminole Gaming's Director of Poker Marketing, Ray Stefanelli. Rumor has it that Stefanelli will be leaving his senior marketing post at the Seminole Hard Rock in Hollywood, Florida in the wake of the highly publicized troubles of the 2014 SHRPO. Sources indicate that Stefanelli, who spent 7 years at the Borgata Casino as their Director of Poker Marketing prior to taking his position at SHR, is headed back to New Jersey to resume working in Atlantic City with the Borgata. Simultaneously, Stefanelli did spend a good part of his career at the popular New Jersey casino, and as online poker continues to grow in the Garden State, Stefanelli could be looking to take up a new challenge with an old friend. The opportunities at Borgata, along with the troubles at the Hard Rock, could have presented him the perfect opportunity. Either way, our sources have Stefanelli out at Seminole Hard Rock and back in at the Borgata, despite Stefanelli not having yet switched his social media profiles. Also, does this mean we’ve seen the end of the $10M guarantee and the Seminole Hard Rock Poker Open (and Showdown)? Update: Apologies are in order. In a previous version of this article we incorrectly credited Ray Stefanelli with the idea and success of the 2013 $10M Guarantee SHRPO. The credit for that seems to belong to Larry Mullin, the COO of Seminole Gaming. Ray was not on board during the successful 2013 campaign. We’ve attempted to contact parties involved, we’ll update again if they ever get back to us. JTilla, Laak & Madson came on down to play a little poker against Drew. Sam Simon’s home games are part of the legend of poker’s Hollywood scene. Jennifer Tilly gives you a snapshot of some of the action that took place this weekend featuring Phil Laak, Jeff Madsen and host of the Price Is Right, Drew Carey. Disparate group of Degenerates at Sam Simon’s house last night. Bonus: It looks like Jennifer is back in action while in LA. Here’s a shot of the previous night of her playing a little poker with Rick Solomon (who played himself on “Entourage”, right ESPN?) and director Nick Cassavetes. Get a refresher course on opening ranges. Before you hit the felt this weekend, perhaps you’ll want to give yourself a little reminder on some ideas for pre-flop opening ranges. partypoker continues to release some rudimentary strategy videos with the help of their young professor Josef Rantamaki and this time it’s a basic guide of what hands you should/could consider opening the pot with in various positions. Phil Galfond is the fourth biggest online cash game loser so far this year, with over $1.1 million already sent across the virtual baize to his opponents. Magnanimous in defeat, as always, Phil has praised everyone who now owns his money. It’s been a long time since Phil won his PLO bracelet at the WSOP in 2008, but he has a cunning plan to return to profitability at the PLO tables.